The third Sunday of Advent is known as Gaudete (latin for Rejoice) Sunday. We light the pink candle in our Advent wreath, a break from the other purple candles, to signify our joyous preparation for the coming of Jesus. This preparation plays out in practical ways through our work at All Saints High School. We have worked hard supporting the Salamehs, the Syrian family that we are co-sponsoring with St. Elizabeth Parish. Staff took some time a week ago to deliver the many donations of home furnishings to the newly acquired apartment for the family and set up a beautiful home. Our staff and students have worked hard putting together our Christmas Hampers for those in our community who have additional needs. Groups have been volunteering at a community shelter, preparing and serving meals to those who may not have much at this time of year. All of this work is a practical way that our school community recognizes the importance of the Christmas Season. I extend wishes of hope, peace, joy and love to all of our school families for the remainder of our advent season and through your celebrations of Christmas. A reminder that the All Saints School Council will be meeting on Monday, December 14th at 7:00pm in our Learning Commons space. We will be reviewing student code of conduct (including dress code) and reviewing the school's approach to student wellness. You can access the December 14th agenda at this link. All Saints has been widely featured in the Capital Cappies program recently. The “Cappies” is a writing and awards program that provides learning experiences high school theater and journalism students to be practical writers, critical thinkers, and leaders. Our school play A Delightful Quarantine was reviewed by the Cappies group earlier in December. You can see the collection of reviews here. Our own writers recently reviewed the Mother Teresa performance of Peter Pan - you can find their reviews here. Thank you to all of our students and staff who are involved with the Cappies program. All Saints Yearbooks - Make Great Christmas Gifts! Yearbooks will be on sale at the school on Tuesday, December 15th and Wednesday, December 16th during both lunches (11:15 to 11:45) for $50. We are encouraging parents/guardians to consider giving a yearbook to your son or daughter as a Christmas gift! We have coupons ready for you if you would like “gift” an indication that you pre-bought a yearbook into a Christmas stocking. Parents are welcome to visit on Tuesday and Wednesday to purchase a yearbook in our atrium area. Cash and cheques are accepted in person and you can also purchase using school cash online. Check out our blog – allsaintschs.blogspot.ca and our twitter @AllSaintsCHS as well as our website ash.ocsb.ca for all that is happening at All Saints! As you may be aware, Ottawa Public Health has been reviewing their records of immunization for school children in Ottawa, in order to ensure they have up to date records. Records are reviewed annually to ensure they meet the Ontario Immunization Schedule. Ottawa Public Health has informed the school that your student does not have up to date immunization records. This information should have been shared with you in a letter sent to you from Ottawa Public Health in the last month. In that letter the Health Department would have listed the missing immunization. A second letter will be sent out that will outline that if the records are not received by Ottawa Public Health before the end of December, 2015, your child will be suspended from school. This means that your child will not be able to attend school until his or her vaccinations are up to date. It is up to parents/guardians to update Public Health regarding vaccination records, therefore, your child may have already gotten the required needle but Ottawa Public Health needs to be notified. In other cases you may have to take your child to your family doctor or a walk in clinic to get the needle and then inform Ottawa Public Health that they have been immunized. Fax: 613-580-9660 - You can fax the information directly to Ottawa Public Health. Call: 613-580-6744: You will be able to speak to a public health nurse, provide the information about the vaccines received and discuss any questions you have about this student’s immunization record. Mail: 100 Constellation Drive, Ottawa, Ontario, K2G 6J8, mail code 26-44: you can mail a copy of this student’s updated immunization record. You may call Ottawa Public Health at 613-580-6744 if you have any questions or need more information. Please understand that the school is not permitted to pass along immunization information to Public Health. Note to participants: Although registration is not required, it helps us plan our event and allows us to send you a reminder. The OCSB Calendar Committee will meet in the new year to begin planning the school year calendar for 2016-17. The Calendar Committee includes representatives from senior administration and a variety of partners including the various employee groups (teachers, principals, educational assistants, caretakers, ECE's, just to name a few). 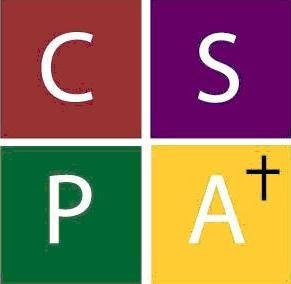 Parents are represented by Sean Jackson, Chair of the Parent Involvement Committee (PIC) and Cathy Philpott, Chair of the Catholic School Parent's Association (CSPA). There are many factors to consider in this process. The Ministry of Education provides guidelines regarding the overall make up of the school year calendar including start and end dates, number of professional development days, suggested school breaks, etc. Suggestions and feedback from all partners are reviewed when making decisions regarding the final OCSB school calendar. As your parent representatives, we are particularly seeking your recommendations regarding the options for Christmas holidays for next year. We will provide this feedback to the committee. Option 1: Last day of school Friday, December 16, 2016. Christmas vacation beginning on Saturday, December 17, 2016 and ending on Sunday, January 1, 2017. Students return to school on Monday, January 2, 2017. Option 2: Last day of school Friday, December 23, 2016. Christmas vacation beginning on Saturday, December 24, 2016 and ending on Sunday, January 8, 2017. Students return to school on Monday, January 9, 2017. What would you prefer? Please take a moment to share your opinion now. Click on the Survey button below. Feel free to share this survey with school council members and friends with children at Ottawa Catholic. Thanks! We appreciate your input.